First drafts are all about getting the story down on paper. For a rare few, one draft is all they need, but for most of us, several drafts (at least) are required to put the sparkle on the story. With so much at stake, the smart writer takes a closer look at their stakes before they send that manuscript out. When you first write a draft you might not worry too much about why your protagonist is doing what she’s doing. You have a story in your head and your plot is unfolding to that mental picture. But crafting a compelling novel is about more than just telling a story. It’s making a reader want to read that story. And "what's at stakes" is a big part of that. As you revise your manuscript, make sure your stakes are escalating and pulling the reader through the story. This is likely the first time your stakes are introduced. Something happens and it matters enough to the protagonist to do something about it. Not doing something with result in a consequence she doesn't want. Stakes are important here because they force the protagonist to step onto that plot path and start the story journey. Without something at risk, why act at all? No matter what story structure you use, the beginning focuses on setting up the conflict. At the end of that, the protagonist has a problem to deal with and something at stake. Odds are whatever she's done to fix it has made it worse and the problem is now bigger. Failing here will cost her more. Once the conflict of the story and all the various problems are established, it's good to remind readers why resolving these conflicts is important. Raise the stakes after the protagonist thinks she knows what the problem is and how to solve it. Odds are, she's only seeing the tip of the problem and things will get much worse before they get better. At around the 50% mark, the unexpected happens, and this is a great spot to raise the stakes again to incorporate the new event. Everything the protagonist thought she know might have changed, what she thought was important might be pointless, and her plans could go right out the window. It's a time of reevaluation and realizing how big the problem really is--and what the protagonist has to both gain and lose. These moments occur about 75% of the way through the story. The protagonist often faces her first major defeat and thinks it’s all probably hopeless and she'll never win. She realizes the full scope of the problem and just how bad it is and what it means. The realization of what it will cost the protagonist is central to the dark moment--what the stakes are. This realization causes the stakes to escalate again and often require a sacrifice of some type. The protagonist will see her role in the bigger picture, and that can either scare her to death or deepen her resolve, which propels her into the final act and the build up to the climax. Right before the climax (sometimes even during), the stakes rise again, because this is the last chance to resolve this problem, and it should matter the most. The risks here are the highest in the novel. It’s all or nothing, do or die. Failure is not an option. Avoiding this consequence is likely the reason the book exists. It might be huge like saving the world, or small like finding love when you thought you'd be alone you're whole life. But the climax is where the protagonist faces that ultimate fear head on and conquers it (unless you're writing a story where the protagonist fails, of course). Of course, these aren’t the only places to raise the stakes, but raising them at key points in the story is crucial to maintaining the pace and keeping the plot moving. Beliefs must be questioned, and the protagonist must act in a way that goes against those beliefs. Choices or acts are questioned, where the protagonist is second-guessing what she's done and what that means. Things matter more when the matter, simple as that is. Keep an eye on what's at stake for your characters and you’ll be well on your way to crafting a story that grabs a hold of your reader and doesn’t let go. How often do your stakes escalate during your story? 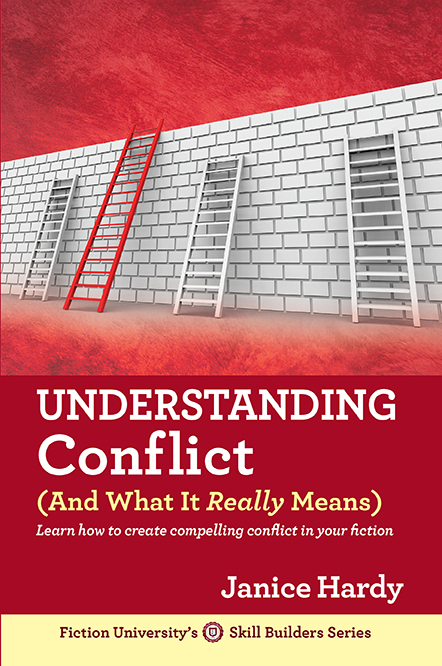 Find out more about conflict, stakes, and tension in my book, Understanding Conflict (And What It Really Means). I like the way this is explained. Thank you for a great post. I will definitely refer to it during revisions. Janice, I don't how it's happening, but not only do I understand stakes so much more about raising the stake after reading this post today, and past archives this week, but I'm honestly starting to both get it, and believe I can do it. Maybe not the first few times, but sometime soon, and it feels invigorating, and empowering, without being overconfident. I know you've felt this before, and it feels joyous, doesn't it? Despite how grumpy I get sometimes, I really do like to work hard, so long as I know I'm improving, it only gets annoying when I know something needs fixing, but how to do it isn't clear. I'll update my blog later and hope to have post where I touch on raising stakes, I've got some tips I think will help those who might be where I was last year, and at the most they'll know it'll get better, even if it's not a quick study, and I'm definitely living proof of that. As are you, Janice, and I know many regulars here would agree with me. Wow this is pure gold. We've been told to raise the stakes from lots of different people, but it's always a little nebulous as to when that needs to happen. This little guide is the cat's pajamas because now we have a rough guideline for when to make things go boom! Thank you so much for this post. Janice, you are a godsend. This is another post I'm bookmarking. You're starting to take over my writing folder! Great suggestions on where to up the stakes. I love how you tied it into the 3 act structure. Thanks. I'm going to have to use this rough framework to take a CLOSE look at my last novel and make sure the stakes are going up. Sure, there is continuing conflict, but I need to double check the stakes issue. Thanks for the great post! Rebecca: Most welcome. Glad you found it helpful. Taurean: Oh good! It's not unusual for things to start falling into place and to "get" stuff that's eluded you. I'm so happy it's clicking for you. Elizabeth: Most welcome! That's what I love about the three act structure. It's open enough to let you do what you want, but it provides enough of a frame to guide you. Paul: First, the folders. Next, the world. Bwahaha. 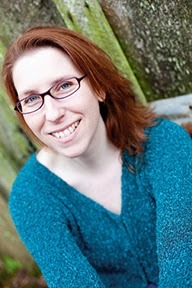 Natalie: The three act structure is such a useful story building tool. Great post Janice! Just what I needed. Well, Thanks for the advice and the briefing. I just need to re-look at my narration form this point of view. Thanks a lot. I always felt the beginning is the most important. I need to set the tone and the pace of the story to keep the reader interested. Not having an agent I also have to keep that in mind as well. I have to be at the top of my game in those ten pages and not five chapters in. I want to reader to have a clear understanding of what the story is about.